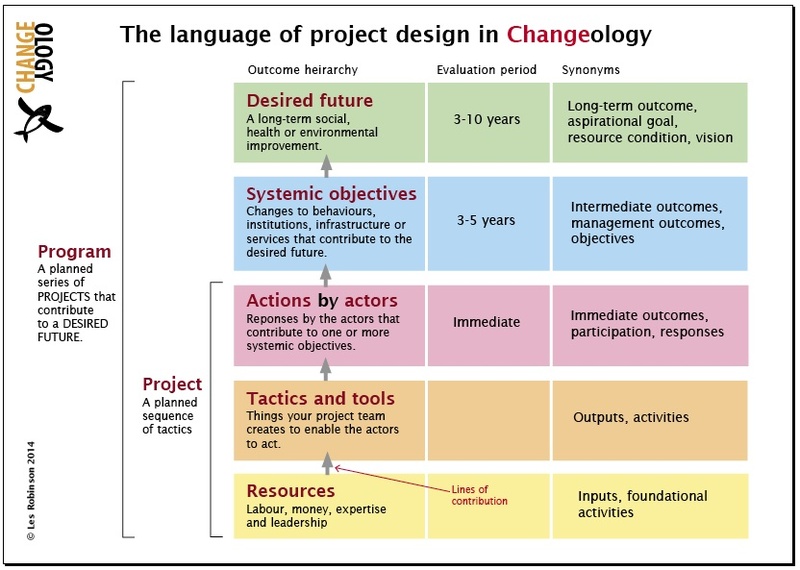 The terminology of project design is, frankly, a bit of a shambles. Different disciplines use different terms and most of them are life-drainingly dull and managerial. The most frequently used terms “inputs, outputs, and outcomes (immediate, intermediate or long-term)” are hardly very evocative or self-explantory. Consequently I’ve generated some more colourful and meaningful terms, which I’ve used in Changeology workshops for a few years now. I hope they bring a little light to the process of project design.